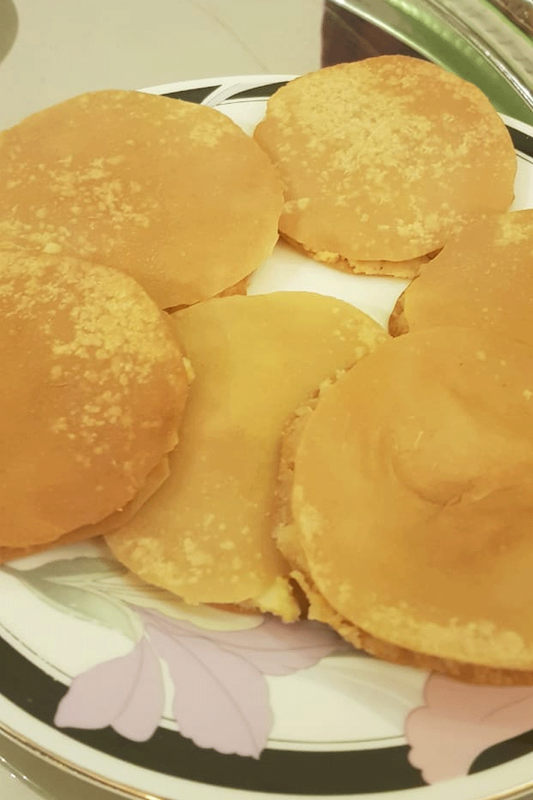 Bohra Dastarkhwan is Karachi's latest dining experience. I find out if it's worth the hype. I have to hand it to Karachi. Its dining landscape has managed to keep up with my moods. I'd be disappointed if it didn't though, given that eating out is practically all the city has to offer, really. 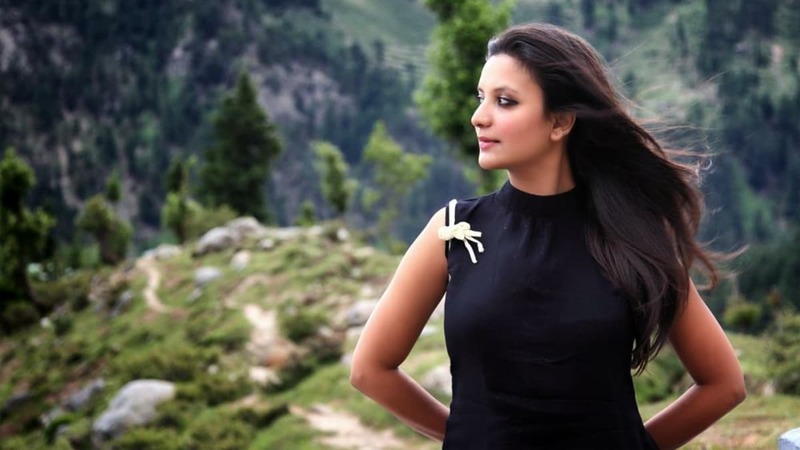 A nice, quiet place calls for cafes like Koel, a fancy experience is offered by restaurants like Okra, and to enjoy the city's humid breeze under the open sky, dhabbas like Chai Wala provide the needed escape - and let's not forget the many places in-between. Yes, for now I don't have any quibbles. Recently, however, in the midst of these diverse experiences I found one which strikes a different chord. 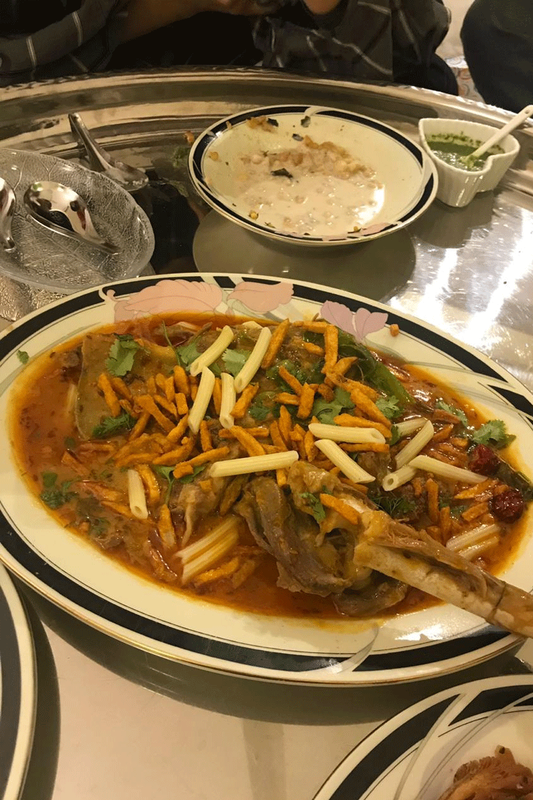 It goes by the name of Bohra Dastarkhwan (BD), a 'home dining experience' as owners Muffadal Moiz and chef Maria Ajmerwala call it. The couple opened their home to guests for a taste of homemade Bohra food earlier this year. 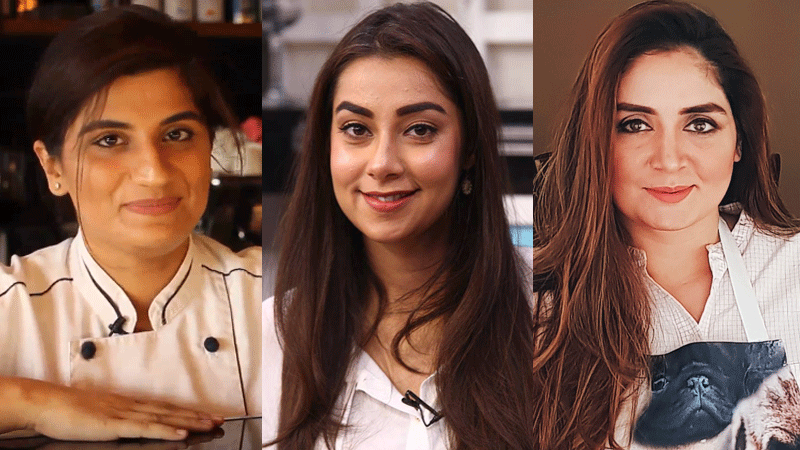 The meal is a walk through seven courses, each designed and cooked by Maria, a design graduate from Indus Valley who's also completed culinary courses from Pinch & Co.
"We always wanted to own a restaurant," Maria replies when I ask her about the duo's motivation behind the venture. "It was my husband's passion but we didn’t have enough funds so we thought why not do something from home that is unique? Hence, we came up with BD." 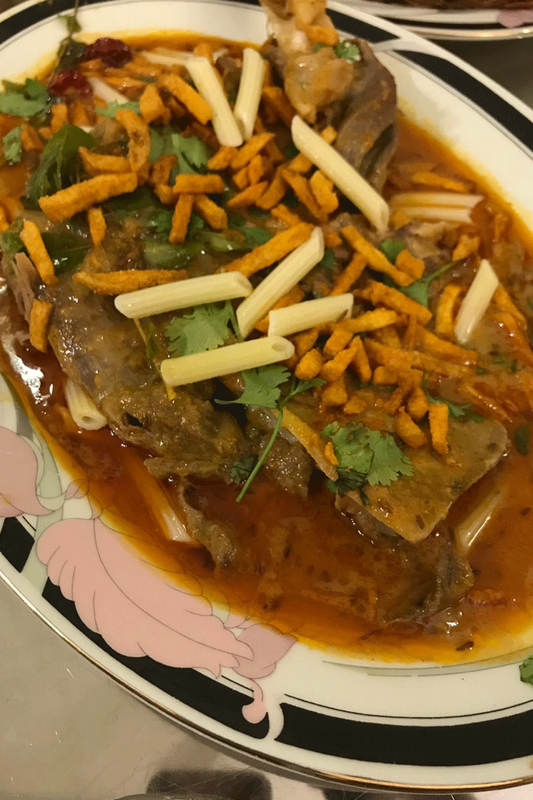 I discovered BD on Facebook group Karachi Food Diary where pictures of the food from the soon-to-open home dine-in caught people's attention. A quick run-through their page doesn't disclose much except a contact number, reservations are made on select dates, and that you share a thaal with seven other people. Having had Bohra food thrice before in my life, I know better than to give up on that offer. I dial the number and they give me a reservation for six people the following week. They send their bank account details to transfer Rs2,100 per head. Once the transfer's done, they'll drop the pin, they promise. A bank transfer? That's new, I wonder, and... odd. Maria explains, "There're two reasons we do this. One, we just don’t like the idea of taking money from people when they are at our home. It sounds off and disrespectful; two, people cancel reservations last minute and since we have very few slots and we don’t take walk-ins, we don’t want our food and slots to go to waste. Once you pay, you make sure you go." Sounds strange but it's understandable as Maria has to prep the meal at least three to four hours before the reservation, given the headcount. Besides, if I'm paying that amount, I am most definitely not going to miss it. I collect money from colleagues who'll join me for dinner and one of us then transfers it to her account. Ting, my WhatsApp sounds. The location has been sent. Ting, this time I receive a code of conduct. Huh, interesting. Unfortunately, my excitement's short-lived; our reservation gets pushed twice due to inconveniences, once on our part and once theirs. By now I'm impatient to try out this new place, not just because of my liking for Bohra food, but because I'm eager to know whether it's worth the cost. On a busy Friday evening two of my colleagues and I are on our way to the couple's house. Regrettably, we're running late -- Karachi traffic woes. I drop Maria a message and apologise, she tells us they keep at least a 30-minute margin so we shouldn't worry. The house is not an easy find, but 45 minutes later we enter the gate and are greeted with smiles and a warm welcome from the husband and wife. We promptly return the greeting. In a haste to join the rest of our team (and fearing I may have missed out on the starters) I forget to take off my shoes and almost step inside the house till our hosts politely ask us to leave them on the shoe rack outside. I flush, embarrassed. Should've read the code of conduct again before coming. We're guided to the dining area where we meet our team and other guests - a family of six. At first glance, it's a typical drawing room; a cosy space, minimally furnished with a subtle colour scheme. Almost everyone sits on the floor except the elderly who have the option to sit on a plush bench fitted along the wall. There are two lamps on either corners of the room and a few paintings hang on the walls. The lighting is soft and sets the mood for a relaxed evening. Two safras (square pieces of cloth) with napkins have been placed next to each other to mark the dining space for both groups. The walls are lined with cushions to provide guests on the floor with backrest (which are MUCH NEEDED post-meal, trust me). The soft lighting set the mood for the evening. "When our house was under construction, we had this area designed especially for BD," the couple explains. They recently moved into the new space and said they "worked alongside the architect to make sure the dining area gives off the home experience we promise." We join our colleagues on the soft, carpeted floor and Muffadal hands us each a Ferrero Rocher. "We'll begin serving once the remaining guests arrive," he says. In Bohra tradition, the thaal is not set, nor food served till all diners are present, hence, we wait. A great way to get people within a shared space to be mindful of each other, I think to myself and immediately feel guilty for being late. Muffadal and Maria's eldest son had his first BD experience hosting us. 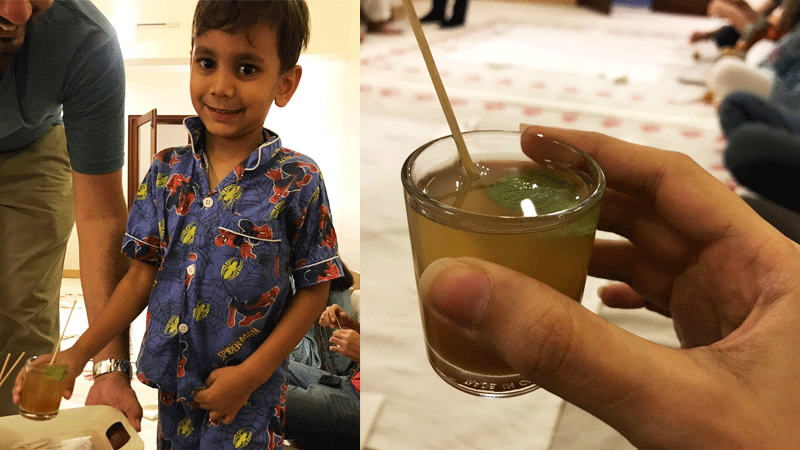 As soon as the last guest enters and settles down, Muffadal, our host for the night, with his little son as a helper, hand out the welcome drinks, Imli Gur ka Pani. The drink looks like an interesting cocktail, with a mint leaf floating on top and a long wooden stick to stir. I give it a quick mix and sip. The khatta meetha pani makes for a refreshing drink and the sweetness of the jaggery balances well with the sweet-sour tamarind. My taste buds awaken and I know the imli shot has worked its magic. The meal has begun and I, for one, am ravenous. Once the drinks have been had, Muffadal helps the guests rinse their hands with a chelamchi lota (a kind of basin and jug) before the meal. Muffadal going around the room to help everyone wash up. He then sets up a thaal on each safra, he elevates the platter by putting the kundali (stand) under it. The round thaal serves the purpose of a table top and a plate - one is meant to take the food from the serving bowls placed atop the platter and keep it on their side of the thaal to eat. "Sharing a meal adds to family bonding and togetherness," says our chef. 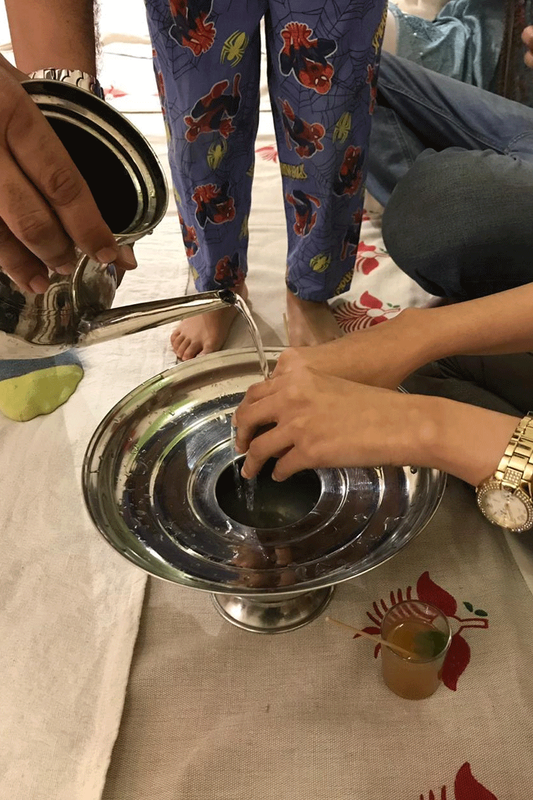 "When you are sitting around a thaal, you are sitting so closely to each other and eating off a single plate that you are bound to come together and bond over food and conversation." Muffadal also leaves four plates by our side to separate the bones in and hands us cutlery shaped like soup spoons. "If anybody wants, we can serve them dinner plates to eat in but we would advise you to take part in communal dining by eating in the thaal," he says. Of course, we skip the plates. Top right: Kachori Papar, Top left: Boondi Raita. Centre: Malai Khaja. The first course enters, and it's a wide variety of dishes; we're given Malai Khaja, Kachori Papar, Boondi Raita and green chutney along with a small serving of salt. If this is what one course looks like, I do not know where I'm going to cram the remaining courses, I think to myself. It's customary to begin and end a Bohra meal with a pinch of salt. "The salt helps heighten the taste buds and will intensify your palate, as well as cleanse it," explains our host. We pass it around the thaal. The Malai Khaja which is from Bombay Sweets. 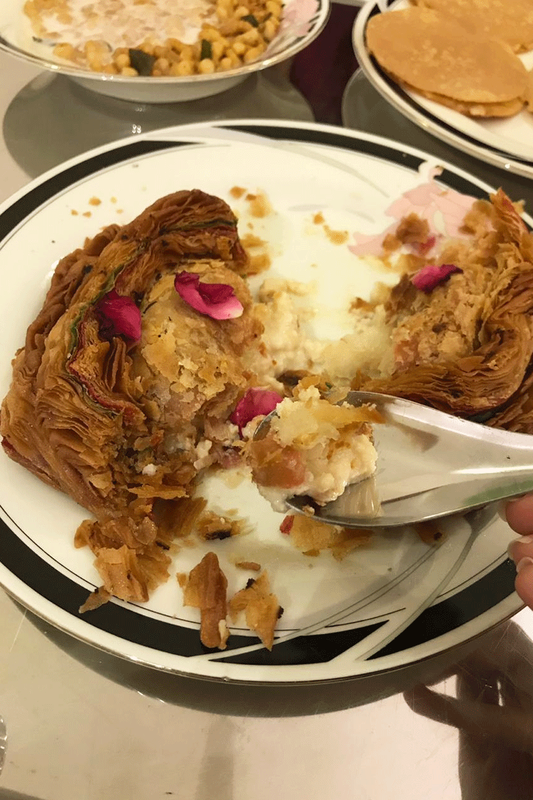 Staying true to the experience, we all descend upon mithaas (sweet), the Malai Khaja - which the owners tell us is from Bombay Sweets. Sure enough, the salt enhances the flavours of the dish; the sweetness of the soft, warm malai stuffing with the flaky, crisp exterior pack a punch. Yet another great start to the evening, but knowing it's store-bought leaves me on edge about it. One of the most favourite dishes of the night, the Boondi Raita. Kharaas (savoury) is next and I eye the Boondi Raita, it's a yogurt dip mixed with crispy chickpea balls. Eating savoury right after mithaas elevates the dish and I help myself to generous servings, enjoying the crackers and the balanced spices in the dip. The yogurt is just right, not runny or thick, and the crunch is a pleasant surprise in the mouth. We look at each other and nod in agreement. This dish does not let me down, even when I come back to it throughout the meal. Would you believe, the crackers do not get soggy? The Kachori Papar is a miss though. Oh well, back to the Boondi Raita. The team was very excited about the BFC and forgot to take a picture before diving into the dish. 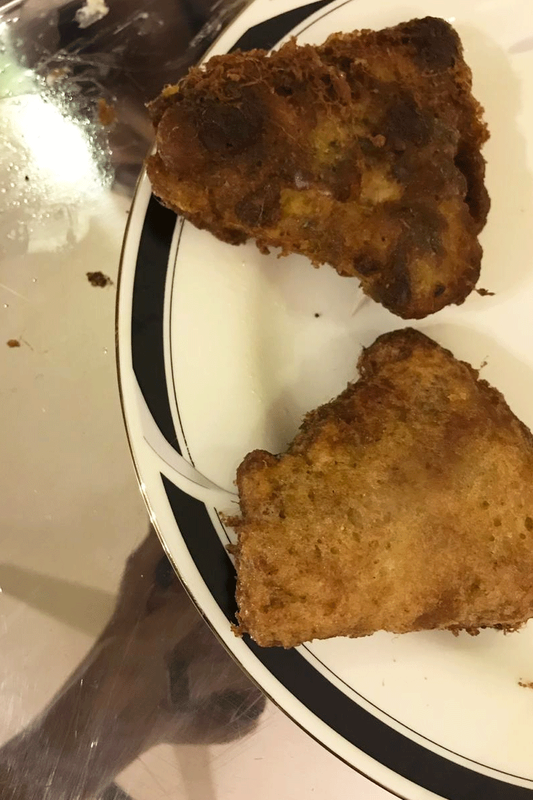 We're hardly done when Muffadal brings in our next course, Bohra Fried Chicken, a plate of eight assorted chicken pieces marinated in green masala. I'm not fond of chicken, so I'm hesitant to try the dish, but once I do, I'm not blown away by it. In fact I feel it's quite average and can be replaced with something more inspiring. My colleagues, on the other hand, sing praises about it. They feel the chicken is tender and juicy, and the unique factor for them is it steers away from the commercial fried chicken style with its soft crispy exterior. One thing we agree upon is that the green chutney doesn't do the BFC any favours. Rather, I feel the peppermint in the chutney is overwhelming and it lacks spice. 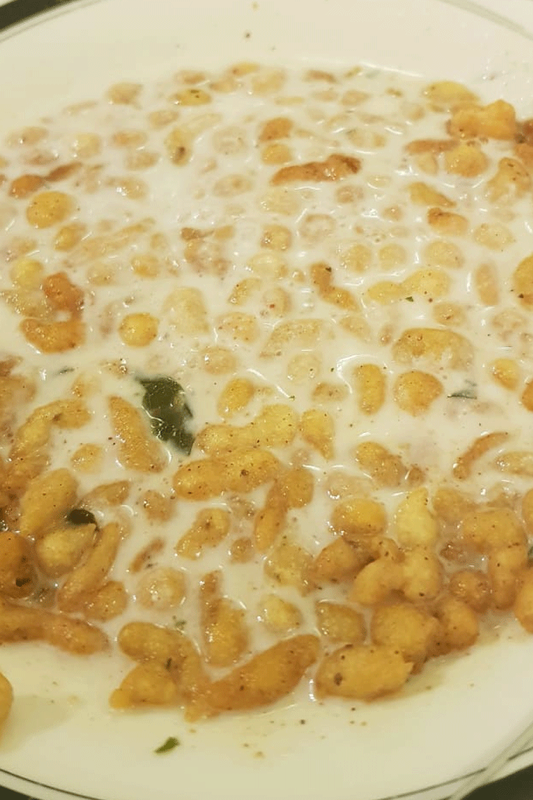 Boondi Raita has now become my go-to dish; while the rest enjoy their chicken, I enjoy my crunch. I also realise that my appetite is filling up and I'll be full soon. I’ll just have to power through. 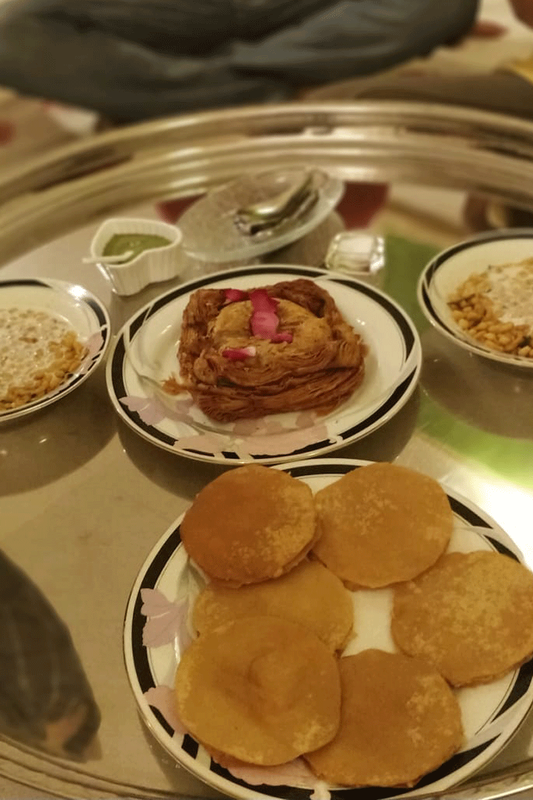 Our host comes back carrying a large dish and we make room on the thaal, only allowing Muffadal to take back the empty plates, we're aware of the Bohra community's no-wastage policy and we try to be as mindful of it as we can. The Smoked Mutton Shoulder topped with pasta and Slims. This is one of the main courses of the night, the Smoked Mutton Shoulder in gravy. To my surprise, it's topped with penne pasta and Slims, a first for me. I start peeling the meat off the bone with my spoon, it tears right off. I take a bite of the succulent meat and it's well-cooked, tender and seasoned. Meat done right. My colleagues enjoy the play on textures with the toppings, while I choose to skip them. I do, however, feel that the gravy is overpowering for the meat, its spices battle with the protein in my mouth and for a meat-lover like me anything that overthrows the balance of the meat is a no-no. Having said that, I can't stop helping myself to more. Maybe a bowl of rice or roti would've complemented the meat right. Collectively though, our main gripe with this dish is that it needs rice or roti. After all, we have desi palates and our meat needs to come accompanied. Slurp. I take another spoonful of the Boondi Raita. I secretly hope to finish the entire bowl meant for two. I can now feel the weight of the food inside me, lethargy is slowly and steadily creeping in. I ease up for the remaining main dish and wonder if it'll be just as heavy as the last. Again, Muffadal offers to empty the thaal, we haven't wiped all the serving dishes clean yet, but we refuse to let him take away any except the empty ones. 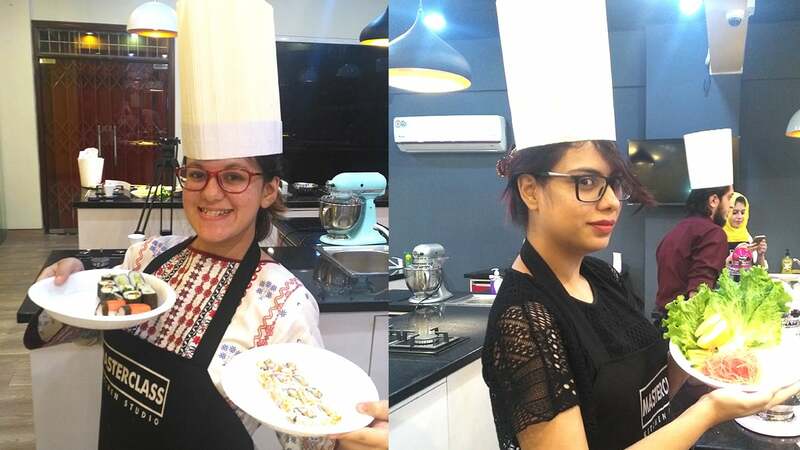 "In Bohra culture, we don't like the idea of wasting food, that's why we have the concept of sharing so everyone can help eat and finish everything," Muffadal says. I'm a little worried now, as are my colleagues - there's some food left, more to come and our stomachs nearly full. Before bringing in the next dish, he asks if we would like drinks with our food. I ask for a 7up to wash the food down with, if only it could give me wings instead. The soft fluffy rice with the crisp fried onions went well with the curry. The last main course of the night is the Bohra Chicken Curry with rice. I try to convince myself to eat less but knowing I'd rather hate myself for eating too much than wake up the next day regretting not eating enough, my gluttony gets the best of me. I take out a big serving size for myself and ditch the spoon, because there's only one way to eat desi food and it's with your hands. The fluffy rice with fried onions is fragrant and soft and mixes well with the curry, providing the needed crunch from the brown onions. The dish is so light that I find myself wolfing down each bite. The curry is flavourful, and fresh, it stays true to the very essence of a homecooked dish. 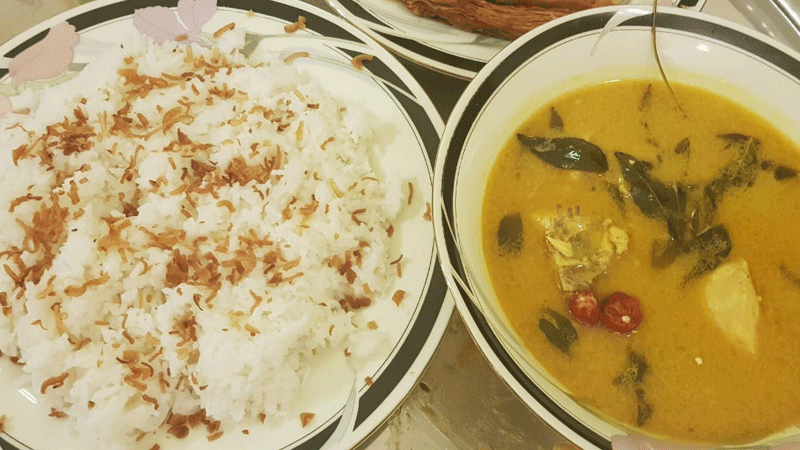 Every element of the curry is in harmony with each other, the spices are just right, there's a hint of coconut milk too. In fact, the dish helps cleanse the palate after the heavy meat. I hear approvals from around the thaal and I know this dish is the star of the show. A few minutes later I look up at my colleagues and everyone sinks into the carpet. I find myself wanting to lie down. As much as I crave dessert after a meal, I realise I filled the remaining space I had with curry. Don't get me wrong, I do not regret my decision of overeating nor will this ever stop me from fulfilling my sugar craving post-meal. Again, my teammates and I forget to take a photo and only remember once we're halfway through with the ice cream. 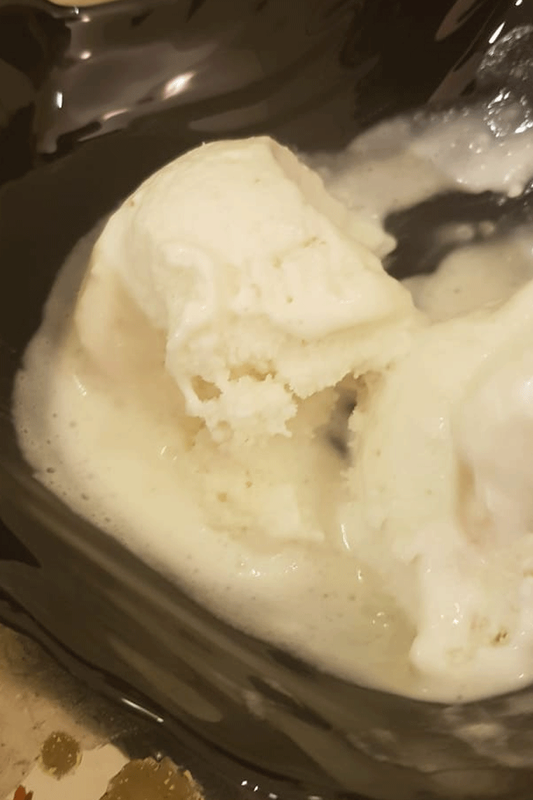 So when the coconut ice cream arrives, I do not hesitate to take a few (too many) bites while sharing with my colleague. It's creamy, it's soft, it's fresh and it contains coconut flakes. The temperature, in fact, is perfect, it melts in my mouth and does not feel heavy. Maria tells us they outsource the dessert from someone who makes homemade ice cream to stay true to their concept of a homecooked meal. "They hand-churn their ice creams, that's why there are no crystals in there and the consistency is so smooth," she adds. The Paan Balls are rolled with coconut flakes and saunf. Finally, to end the night, Muffadal brings us Paan Balls, which are meant to serve as mouth fresheners. 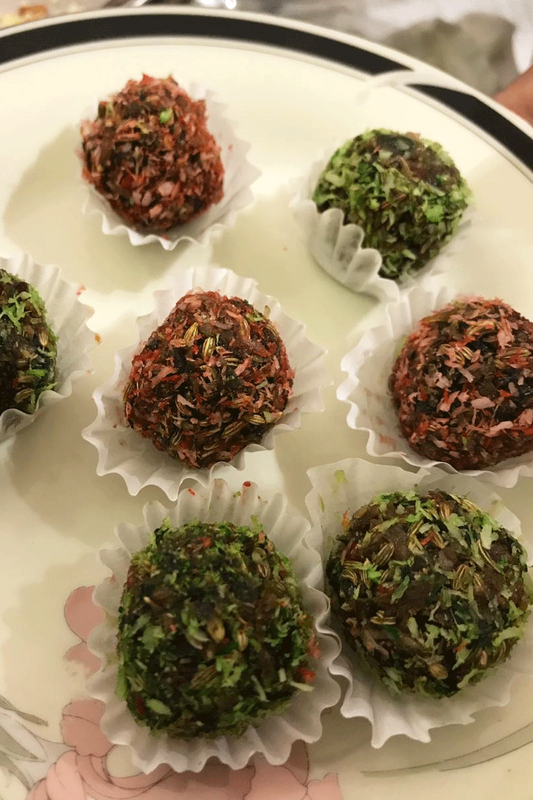 As a paan lover, I'm impressed, the ball is stuffed with an explosion of flavours - good luck trying to figure them all out - and makes for a second dessert. Paan Balls in hand, my colleagues heave a sigh, I steal a glance at the curry. I want more. I reach out and grab a few more bites. There’s no other way I’m ending my meal. The family has left, we're the only group remaining, it's nearly impossible for me to carry my own weight out the door without some rest. We all crawl towards the walls, find ourselves a cushion and stretch our legs out - you don’t realise how long you’ve been sitting cross-legged till post meal. I grab one, lie down and curl up. Maria, Muffadal and my colleagues laugh at the sight. Still don't regret all that food. Muffadal starts clearing up the safra and picks up the thaal, it still has some leftovers remaining - as much as we tried to finish everything, we just couldn't manage. I ask Maria how they dispose the food. She says, "As a community we really focus on no wastage so we cook quantities which are just sufficient. With whatever little leftovers we have, we give it to the needy." I try not to doze off. The setting's comfortable, a little too comfortable and I know I can pass out any second. I sit up and engage our hosts, who've joined us in the dining room after the meal. Do they feel they may perhaps be exoticising Bohra food through this venture, I ask. Maria says otherwise. "Umm, not really. A lot of people who have come have had Bohra food before so it's nothing exotic for them. People love the cuisine for its distinct flavour and novelty and also for its non availability. Additionally, they enjoy the idea of eating around a thaal. More than understanding our food we want people to understand our culture." But isn't their price quite steep? I wonder out loud. Is it justified considering two of their dishes have been outsourced? "We feel we are very competitively priced. After taking out the cost of the seven-course meal and keeping a few overheads in mind we charge a very minimal profit. 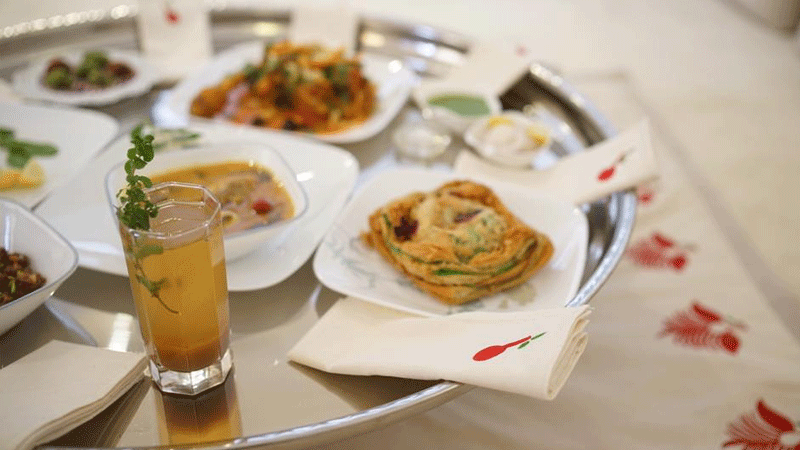 More than the food people are paying for the experience which you get nowhere in Karachi." I have to agree to the experience bit. After all, we're sitting in a drawing room talking to our hosts and the time is 10.30pm. It suddenly occurs to me that this couple invites strangers to their home and I wonder what that's like for them. Anxiety-inducing, I suppose. "It’s overwhelming," quips Maria. "The only challenge before and after opening was welcoming strangers at our home but we have been very lucky so far for the kind people we have hosted." And in a way, she says, it's heartening to see "how at the end of every dinner we connect so well with those strangers that we feel we know them from before. People have been extremely considerate and warm. We treat them as our guests and not as our customers." The feeling is mutual. We look at the time and realise we ought to get going. We say our good-byes and thank-yous and head out towards our cars, carrying with us a bond with strangers and the satisfaction of a good meal. Will I do this again? I’m not sure, perhaps if they change the menu. Did I enjoy the experience? Definitely. And for someone who hasn't been, I'd say, it's an experience to try; take your time with the food, work your way through it smartly - not like I did - and enjoy the company. It truly feels like Eid on a regular day. It feels like home. In the end it was all about Boondi ka raita, it seems nothing else was special! We have bohra pop ups in Mumbai. It costs about 1200 INR. Above everything looks delicious except for sitting on the floor which most of us city dwellers aren't used to anymore. sounds amazing... my only question is, how do we get a place like this to pay tax? Bohras are considered very respectable, trading , refined community in India. wow, looks absolutely irresistible, and unmissable...next time I am Karachi will definitely come. Variety, quality and choices. Nice article. Two thumbs up. Not sure why Bohra meals are so expensive ?? A very interesting read with details which made me feel as if I'm experiencing it myself. A brief clue about location could have filled my reading appetite! 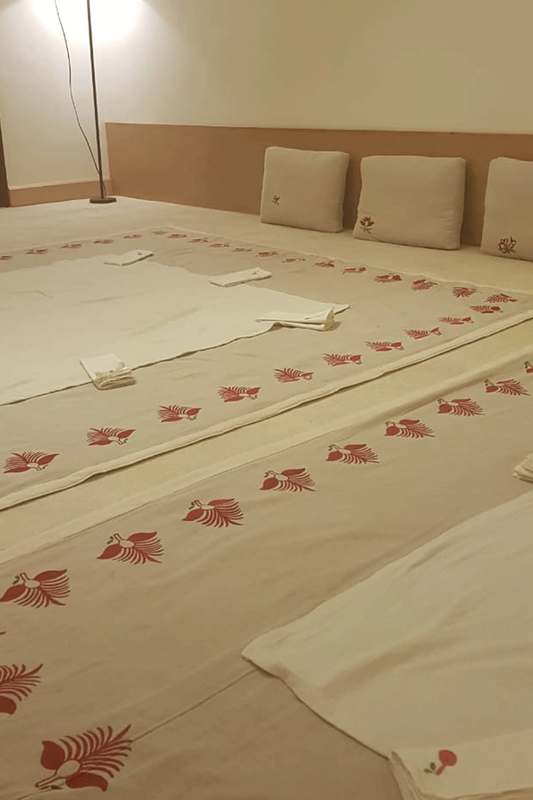 To be honest, it 's an experience, a complete package where you get to see a Bohra home, their traditions, their food, their culture and get to talk to host. It's a informal setting and priceless experience. Those complaining about cost, should realize it's not a restaurant -it's a home serving small set of people so their costs are high. Considering the ambience, the hospitality, the warmth - it's a unique experience which you will never get in a commercial restaurant. Not that much interested in going in someone’s home for lunch or dinner. A 7 course meal - in an intimate setting , where you have access to the chef - is a bargain for 2100. @Surya Kant Agrawal ...This is about Bohra in Karachi Pakistan.!!!!! A lot of grease and salt, not good for health, blood pressure, heart attack. Sorry. Well done chef Maria Ajmerwala, Bora community is ideal for me, soft spoken and nice taken. My two daughters in USA are almost engaged in same activities, it is better not to waste time and do something. Earning and Learning are two beautiful combinations which make your life excellent. @waleed Karachi You are a free loader, This is a business Waleed. Food looks very similar to punjabi cuisine we have. Ok so anybody want to go to Karachi and experience this? I am starving from just reading the article. Oh you have to power through the meals, the slowly you eat, the faster you will become full. @hamza Can we get the rich elite to pay taxes first?